About 1.7 million people each year visit emergency rooms with head injuries. Many of these issues are immediately treatable, with only short-term effects. Others can develop into major problems that have the potential to turn your financial, social and professional life upside down. 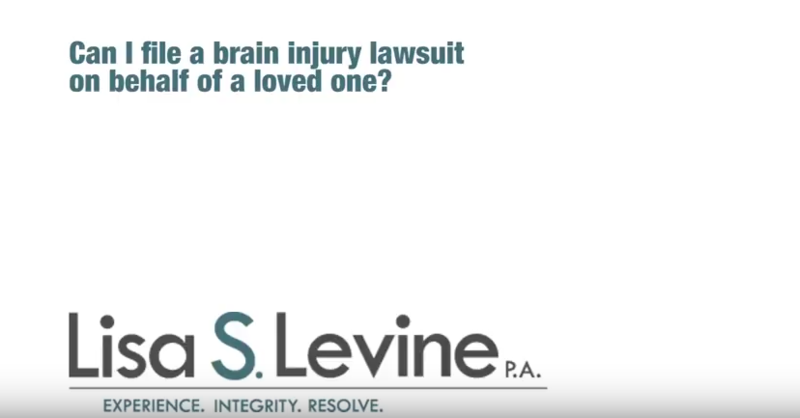 Always have a Fort Lauderdale head injury attorney at your side in these situations. Injuries to your head or brain can have a destructive effect on your social, professional and economic well-being. The amount of money and time spent on fixing the issues related to an injury can reach unsustainable levels. When expensive and time-consuming injuries occur due to the negligent actions of another, the bitter pill can be even more difficult to swallow. As a victim of another’s reckless or careless actions, you have the right to sue the offending party and demand that they compensate you for the resulting costs and damages. The time to pursue legal action is now, and our firm is here to help you navigate the perilous legal waters of personal injury litigation. Lisa S. Levine P.A. has decades of experience serving the best interests of severe injury victims. We defend the rights and interests of those who have incurred head injuries as a result of negligence. Our attorneys are well-versed in Florida law and have years of experience working toward legal solutions for our clients, both inside and outside of court. We understand that this is a difficult time in your life and will take control of every element of your case so that you can attempt to heal and move on with your life. Our aggressive nature allows us to seek out the relevant details of your case while pursuing the compensation you deserve. We will work towards a timely and favorable resolution in the form of a settlement, but are more than willing to go to court if necessary. If you have been injured in Southeastern Florida, including Weston, Fort Lauderdale, Hollywood, Tamarac, Davie, and other Broward County communities, we offer free initial consultations to go over the details of your claim. To schedule a time to meet with a qualified head injury attorney, please call (954) 256-1820 or send an online message. Frontal Lobes – Located directly behind the forehead, these lobes are particularly prone to injury. They are involved in brain functions including planning, organizing, problem solving, memory, decision making and controlling behavior. An injury can lead to a wide range of issues, including problems with emotions, language, impulse control and memory loss. Temporal Lobes – Located on the sides of the brain, these lobes are tasked with recognizing sound, understanding speech and aiding various memory functions. An injury can lead to hearing loss, language or speaking problems or inability to recognize others. Occipital Lobes – Located in the lower back of the head, these lobes process visual information and helps you perceive shapes and colors. An injury can lead to vision loss or blurring, along with distortions to perceptions of size, color and shape. Parietal Lobes – Part of the frontal lobes, these collect sensory information, contain the primary sensory cortex which controls pain and other sensations, and enables us to understand which way is up. An injury can lead to difficulty with sensitivity, locating parts of the body and walking. Brain Stem – The brain stem is located at the base and regulates breathing, swallowing, heart rate and blood pressure, along with increasing alertness. An injury would make breathing and swallowing difficult and could create heart issues. Cerebellum – Located in the back end of the brain, it controls balance, movement and coordination. If damaged, there is a potential for loss of coordination, deteriorating muscles and unbalanced movements. The most severe head injuries are commonly called traumatic brain injuries. Of the 1.7 million who sustain a traumatic brain injury each year in the United States 275,000 are hospitalized and 52,000 die from the injury. Motor vehicle accidents are responsible for over 17% of traumatic brain injuries. TBI can cause a wide range of functional changes affecting thinking, language, learning, emotions, behavior, and/or sensation. It can also cause epilepsy and increase the risk for conditions such as Alzheimer’s disease, Parkinson’s disease, and other brain disorders that become more prevalent with age. Considering the fact that those at the highest risk for TBI are in the age groups of 0-4 and 15 to 19 years of age, the injuries can have lifelong effects. These needs can be included in personal injury litigation as damages. Our legal team will assess the effects of the accident and value your brain injury. New issues, such as the ones listed above, will provide additional evidence with regard to the severity of the injury. Punitive Damages – In cases involving extreme negligence or malicious actions, punitive damages may be assessed against the other motorist causing the motorcycle accident. Punitive damages are not compensatory but are intended to punish, or to deter future behavior. These damages are rare, but may be available, depending on the details of your case. Brain Injury Alliance – Clicking on this link will direct you to the home web page of the Brain Injury Alliance. This site contains a great deal of information and resources on head and brain injuries, including an introduction, care giving tips and adjusting to life with an injury. Traumatic Brain Injury – A distinct and damaging type of head injury is a traumatic brain injury. This link will send you to the traumatic brain injury section of the Mayo Clinic website. It has a great deal of information on the specifics of traumatic brain injuries. This includes causes, symptoms and effects. Child Head Injury Safety – A child’s brain and body are still developing, so it is vital to know how they can be affected by head injuries. This website offers information on what precautionary measure to take in order to prevent head injuries, along with how to proceed following a child head or brain injury. 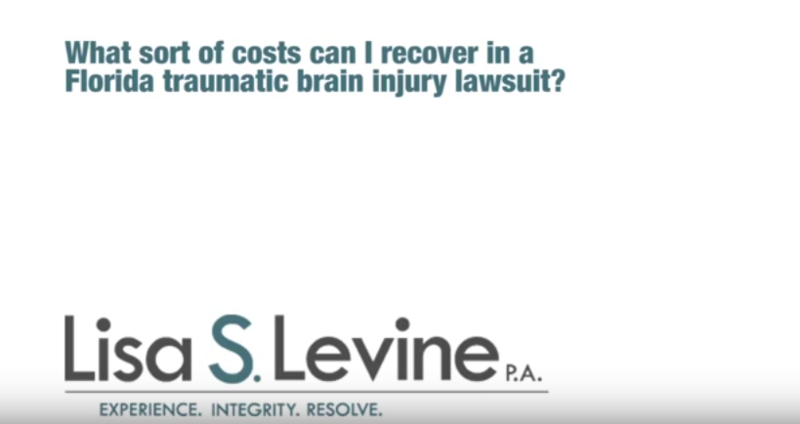 If you or a loved one has sustained a head or brain injury due to the negligent actions of another in an auto accident, you can be compensated for your damages with the help of a capable personal injury lawyer in Ft Lauderdale. Our legal team focuses on auto accident cases and has a great deal of experience working victims who have incurred head injuries as a result. Our firm values honesty, integrity and the inherent rights of all United States citizens. We aggressively protect our client’s interests and are not intimidated by any legal tactic employed by the opposition. Detail-oriented and proactive, our legal team will seek out every relevant aspect of the case and develop a legal strategy that identifies the cause of the accident and proves negligence by the defendant. Located in Southeastern Florida, we are a convenient legal option for residents and visitors of Broward County, including those in Weston, Fort Lauderdale, Miramar, Coral Springs, Davie, Pembroke Pines, Pompano Beach, and other areas. 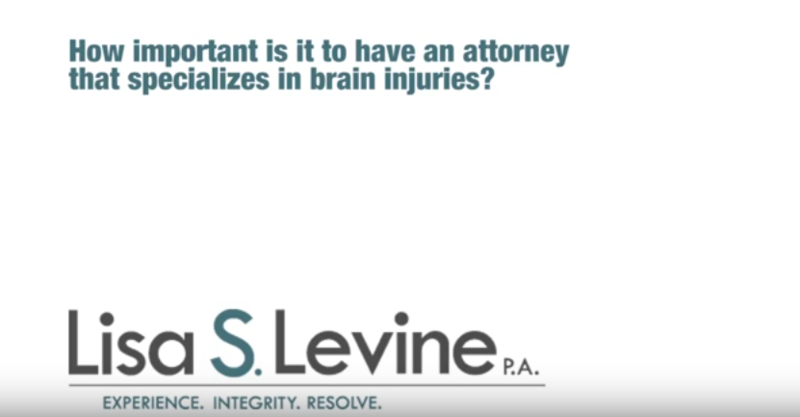 If you would like to schedule a free initial consultation to go over the specifics of your head injury claim, please contact us at Lisa S. Levine P.A. or send an online message today.